Let’s get to know the Finger Lakes, and the wines of this New York region! 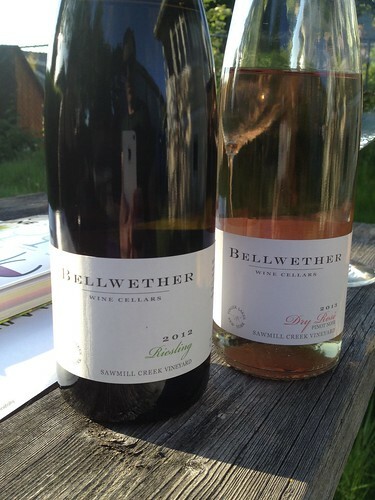 Since I was fascinated by sample bottles from Bellwether Wine Cellars I got to test-drive with Madeline Puckette of Wine Folly, I contacted the winemaker, Kris Matthewson, to ask him to be on my Wine Without Worry podcast. And he agreed to be a guest. Cool! We talk about how Kris got into winemaking. He admits, “I had, like, no direction as a young adult, basically.” (Right there with you, Kris.) But he got a job in the tasting room at Bully Hill Vineyards, and within a few days was moving barrels, and the rest was history. Also discussed? Something near and dear to my heart as a recovering retail wine pro: choosing wine bottles and labels. 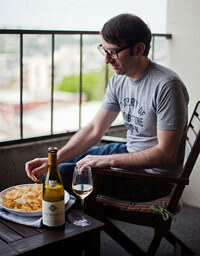 Perhaps you read my post where I enlisted 5 graphic designers to critique a wine label? Turns out Kris was a psychology major and delved deep into how taste and perception of quality are influenced by what you see. Vineyard photo courtesy Finger Lakes Wine Country and Stu Gallagher Photography.